Well, that’s not strictly true; an empty property not only earns no income but it actually costs you money when you consider you have to cover council tax and utility bills while it is unoccupied. Not only that, but if you are trying to sell a vacant property you need to consider cleaning and garden maintenance costs to keep the property looking good for viewings (and don’t forget your vacant property insurance). In Banbury, the average time on the sales market has increased by 17% year on year1, so it hasn’t been a surprise that we have seen an increase in the number of people contacting us because they are considering letting as they have failed to sell. A recent example is a 2 bedroom apartment in Banbury town centre. We had successfully let and managed the property since 2006, but earlier this year the landlord decided to try to sell it. After two months on the sales market with no interest the landlord approached our letting team about trying to re-let the apartment. We advised that some minor works would be required in order to get the best tenant at the best rent. The landlord agreed, and we booked in the redecoration work and re-listed the property. We let the apartment the very next day to a professional couple who are relocating due to one of them starting a new job in Oxford. The landlord is delighted. It’s not only current landlords who turn to letting when they struggle to sell. When most people move home they sell their current property to facilitate the move. If you have tried selling your home with no luck, consider the alternative solution of letting – it may free you up to purchase your ‘dream home’. Equally, there are circumstances where it may make financial or practical sense to keep the old home – for example, if you are relocating for work temporarily. Letting could be a great solution, which also generates a regular income (and over time the asset could also increase in value as well). 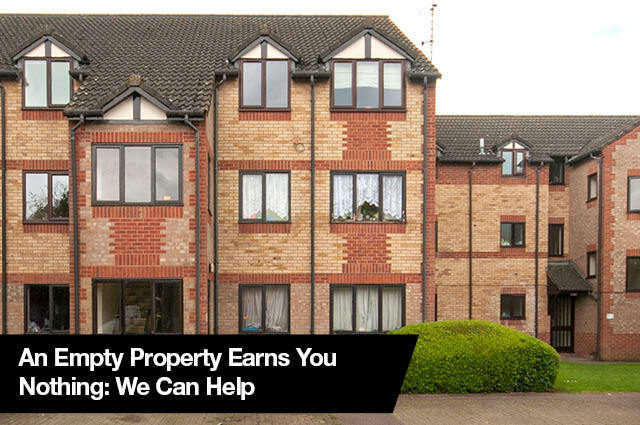 We have a lot of prospective tenants wanting to rent good quality property. Our advice is to beat the crowd and make a decision now – don’t wait until the end of the summer when the letting market starts to calm down. Call Richard or Celia for an honest valuation, there are no fees upfront and no obligation. 01295 276766.